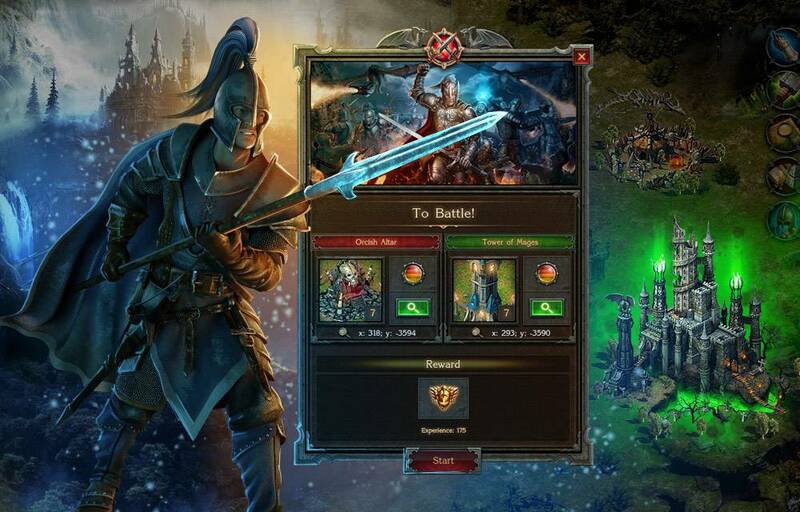 Humoristic fantasy browser game - Stormfall is a classical strategic fantasy browser game. Its great artworks and voice acting, together with a good dose of humor and a deep gameplay, make it a must for all the lovers of this genre. Starting up the game, you’re immediately greeted by a sarcastic, world-weary soldier called Oberon who’ll guide you through the tutorial and frequently give you quests thereafter. Oberon is very helpful and he’s also evidence of the effort and detail that Plarium have put into Stormfall, as his every instruction has been completely (and skillfully) voiced. Although his dialogue can be rather long winded – you’ll complete most of the tasks he gives you before he’s finished talking – it’s also amusing, poking fun at you, other non-playable characters and even the game itself. 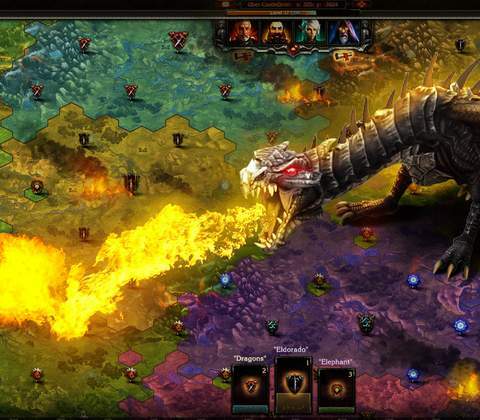 He brings a welcome polish to a game that is otherwise quite similar to others in its genre. The game has four currencies: Gold, Iron, Food and Sapphires . Sapphires can be gotten through quests and achievements, or by purchasing them from the in-game store with real money. Gold, Iron and Food are earned hourly or daily based on the number and quality of your farms, townhouses and mines. 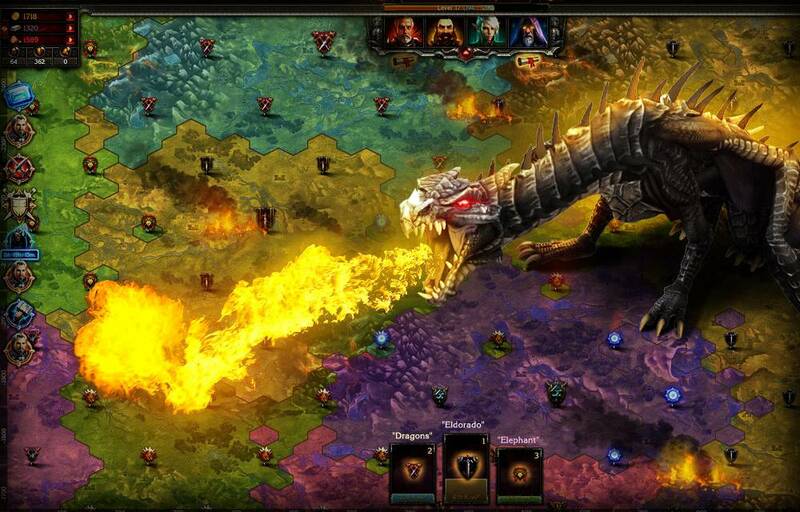 Making dragons go mad in Stormfall - Age of War: ✓ done. Oberon, the sarcastic, world-weary soldier who’ll give you quests is amusing, poking fun at you, other non-playable characters and even the game itself. He brings a welcome polish to a game that is otherwise quite similar to others in its genre. But the basic resource buildings are just the beginning. 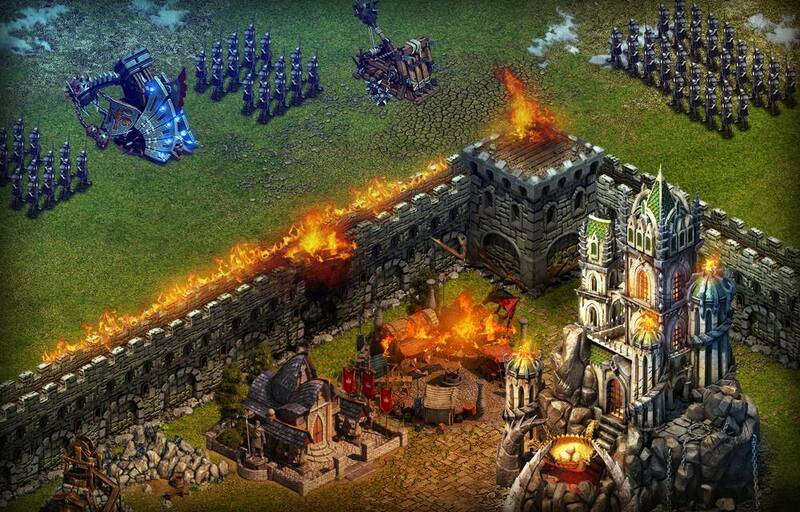 There are 7 categories of structures to build, including Military, whose buildings allow you to create and improve your army, and Improvements, which feature smaller structures to boost your castle’s defense or unit capacity. Almost every building is upgradeable for various bonuses like better resource yield or improved speed. 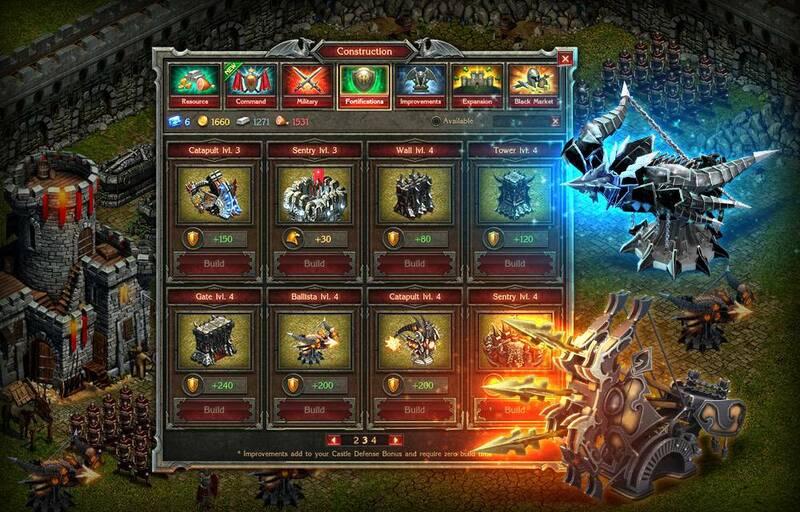 More buildings and units can also be unlocked by discovering "Lost Arts" - essentially the technology tree of the game, which allows you to unlock new Arts over time. Around the area of your castle, you’ll also find random click-to-harvest resources that appear daily to give you a little extra income. There are goblins who can be killed for Gold salvage, wild boars to be hunted for Food and abandoned weapons that yield Iron. It’s not much but hey, who’s complaining about free stuff? There are plenty of different unit types you can train once you’ve built your Sentry House, divided into four categories: Infantry, Cavalry, Occult and Bestiary. Different unit types excel at either offense or defense, and while this might sound like the seeds for some interesting strategy, the combat in Stormfall isn’t all that special. 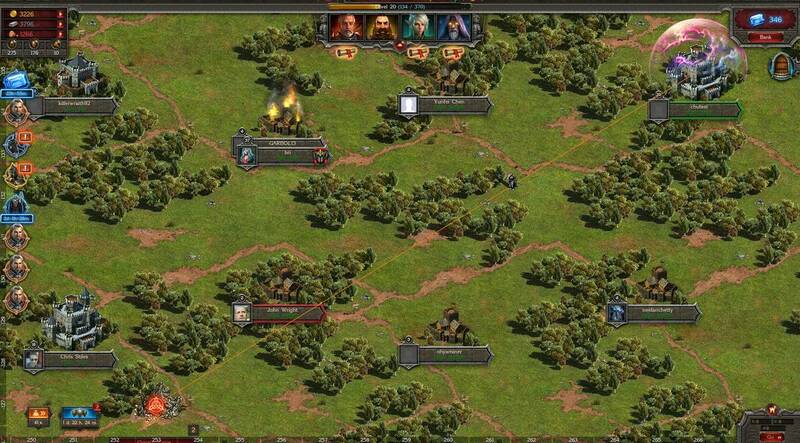 You can only choose where to attack or defend - an Orc Encampment or a Refugee Camp, for instance – and while you can decide which units to send, this just comes down to sending offence units in attack scenarios and defence units in protect scenarios. After that, the side with the most or strongest units wins. 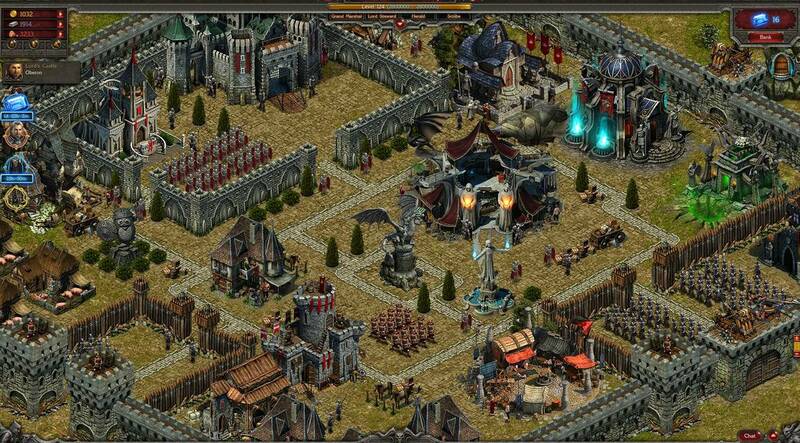 The strategy, therefore, lies primarily in choosing battles you have the units to win. 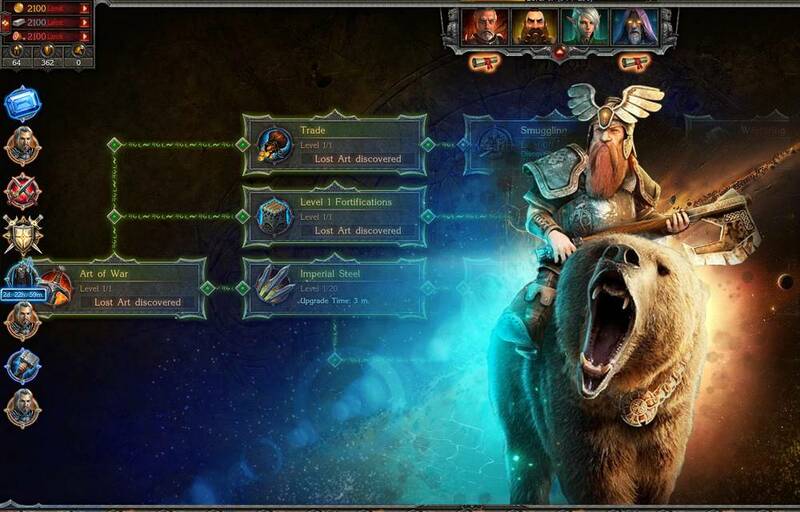 Despite the simple mechanics, there is a lot to do in Stormfall. You can join a league with other players online and fight for your collective glory, trade with your neighbours (or spy on them), conquer and defend settlements, raid other players’ castles or just sit pretty and build up the defences of your own. There are also special quest events that take a stab at developing some kind of story for the game. These last a few days each and require you to complete a certain number of a particular activity – raiding Catacombs, for example – in order to beat back the forces of some dark lord and win various resources for yourself. Making boars go mad in Stormfall - Age of War: ✓ done! Each activity on its own is simple to learn and master, but put them all together and there’s a fair amount of choice in terms of how you want to play the game. The graphics of Storm Fall are decent enough for a browser game, with enough details and little animations to make your castle a pleasure to look at. The buildings especially are beautifully designed, with people walking in and out or flags flying from towers. Menus, music and sound effects receive the same treatment, giving the game a nice polished feel. The game also runs well, with no load times or glitching. One annoying feature for a browser game is that you can’t really play properly except in full screen mode. On some screens, certain menus (including the ever-important “Accept” button on notification and quest menus) are cropped out unless viewed in full screen. This works out if you’re looking for an immersive play session, but since you’ll eventually run into a lot of waiting unless you’re willing to pay to speed up the game, I would have liked an easier way to switch between windows. Almost everything in the game can be bought or accelerated with Sapphires, though as in most free-to-play games, this only becomes tempting as you get to higher levels. Early structures can be built and upgraded in seconds, but move a few levels on and this soon become hours or even days. However, you do earn Sapphires for quests and I managed to amass a fair number after playing for just a few days. Naturally though, the longer you play, the more you’ll have to choose between waiting and paying up. 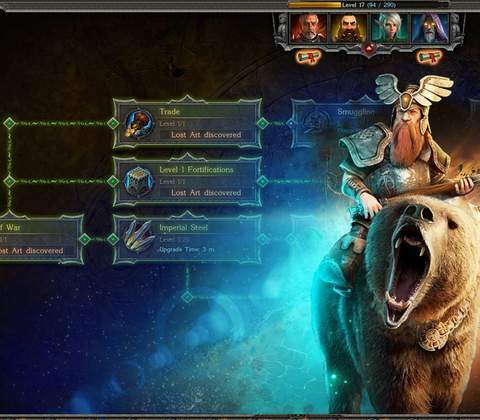 Stormfall is a well made, entertaining MMO especially for players who love to skirmish and plunder, but there’s also enough variety to attract most casual gamers. 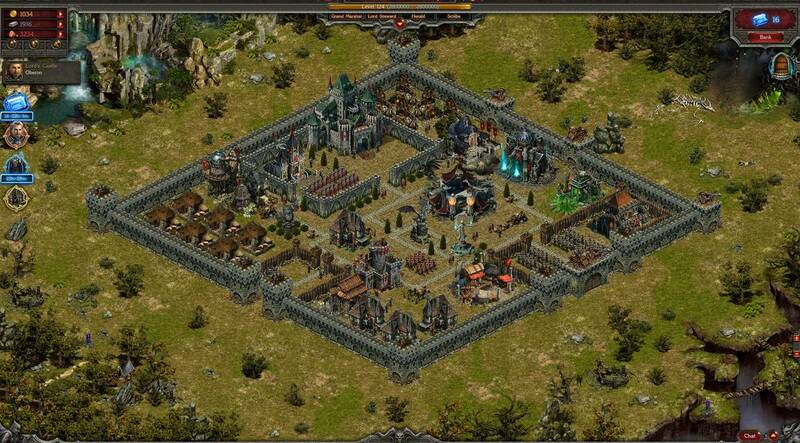 The graphics are good and there is plenty of content to keep you occupied, building your castle and lording over other players online. Those interested in challenging combat, however, would probably be better served elsewhere. 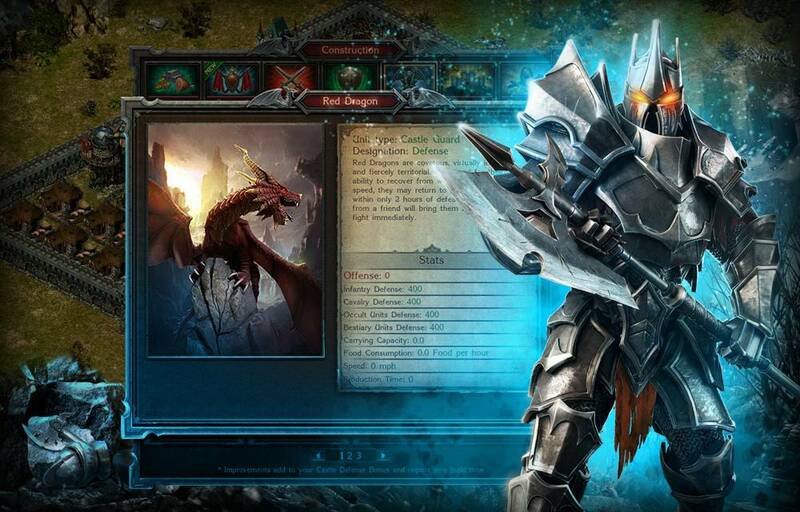 Ready to enter the world of Stormfall: Age of War? Click here to play now! 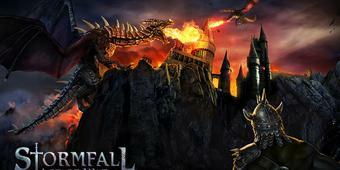 Stormfall is not very original in the castle-building genre, but is helped by well-written and voiced quest dialogue.